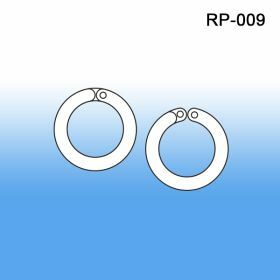 Minimum quantity for "Round Split Ring, RP-009/010" is 100. These plastic split rings are used to hang signs at retail. 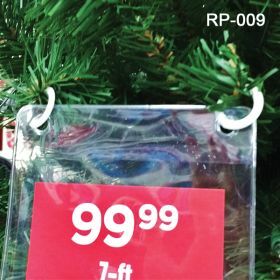 They can also be seen connecting and fastening different items, the uses are all up to the merchandisers imagination.